Robert Mueller, former FBI director, has been named by the Justice Department as a special counsel to lead an investigation into possible links between Russia and President Donald Trump’s campaign during the 2016 U.S. presidential elections, The New York Times reported Wednesday. Mueller was appointed by Rod Rosenstein, U.S. deputy attorney general, to the post a week after Trump dismissed James Comey as FBI chief. In his current post, Mueller has authority to look into “any links and/or coordination between the Russian government and individuals associated with the campaign of President Donald Trump,” seek additional resources and file criminal charges, according to Rosenstein’s order. He spent 12 years as FBI director before he moved to Boston-based law firm WilmerHale in 2014. 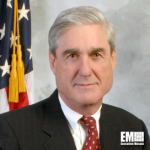 Mueller also served a senior prosecutor at DOJ during the administration of former President George H.W. Bush. His 35-year career in the federal government and law enforcement sector includes roles as U.S. attorney for the northern district of California and assistant attorney general responsible for the criminal division.